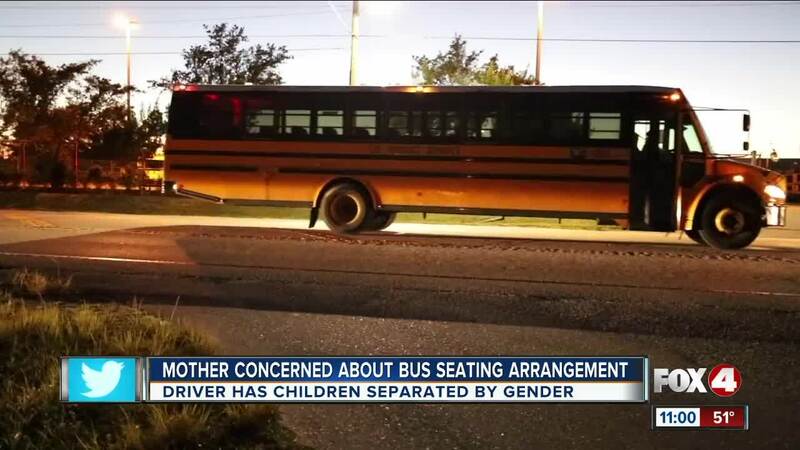 LEHIGH ACRES, Fla. - A SWFL mom took to Facebook, after her son told her that his bus driver separated the boys from the girls. We saw a post and tracked down the mom behind it, who said she was upset that the driver created the rule. "Boys on one side...girls on the other. I just thought that it was kind of strange." Multiple parents posted, and it was clear that many questioned whether the driver had the authority to make the rule. We checked with the district. They do. Rob Spicker, a Lee County School District spokesperson, says Florida state law requires that every bus has a seating chart. He also says bus drivers have the right to assign seating. The Student Code of Conduct, signed at the start of the school year, also states that both the parent and child agree that the driver is in full charge of the bus. It also states that students must obey the driver.